The amount of beauty products I own can (and do) fill an entire shelf, but the one product noticeably missing from the collection is always night cream. 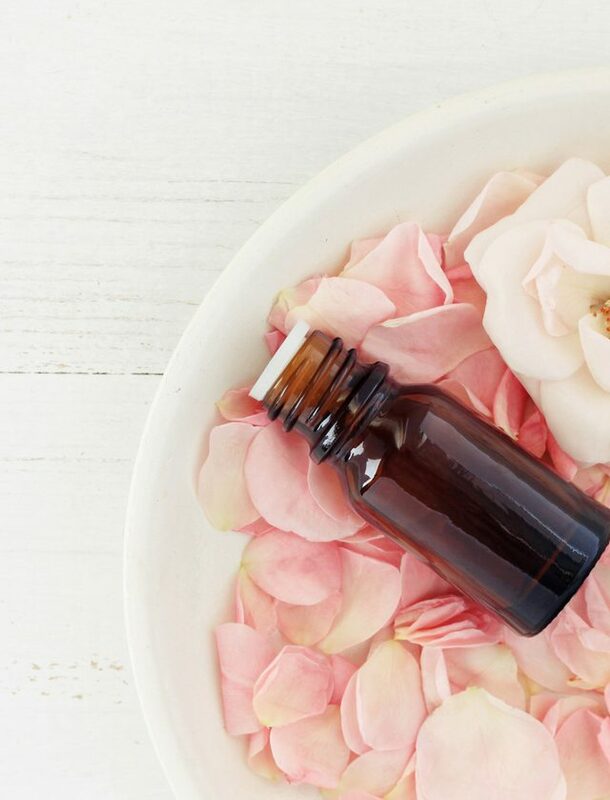 I just don’t care for them—hyper-emollient as most of them are, I often find them too thick and perfumed to let the skin truly breathe at night. 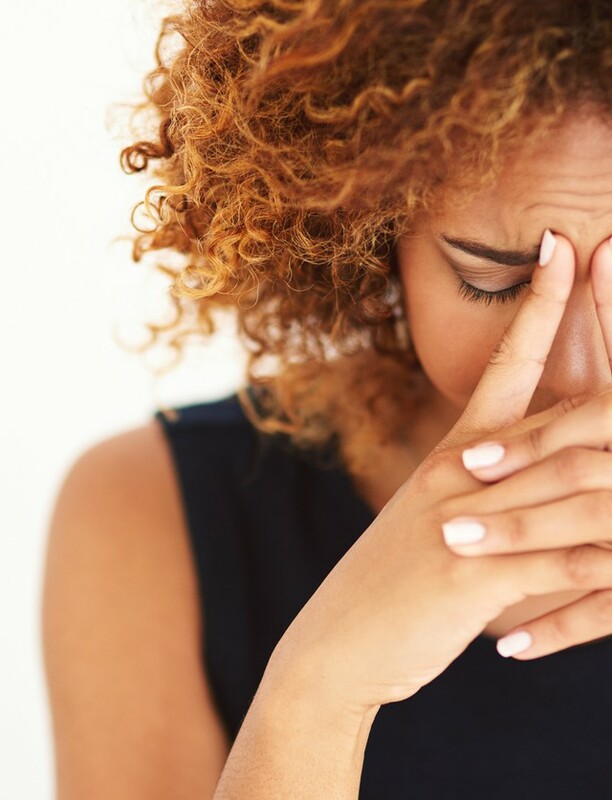 I usually layer a vitamin-heavy serum under a moisturizing emulsion instead, or slap a sleeping mask above the serum if I really need some first aid, and I’ve yet to feel like I’m at a disadvantage. But only a fool passes up on a chance to kill two birds with one stone and, to be honest, I was genuinely charmed by the wordplay. 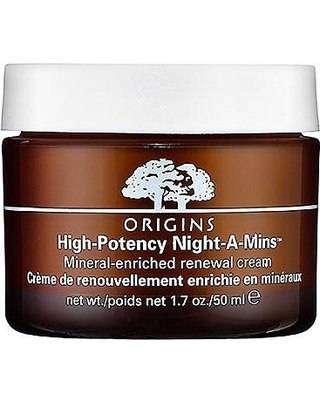 Enter: Origins’ High Potency Night-A-Mins Mineral-Enriched Renewal Cream ($55). This chestnut, wheat germ and orange peel oil mixture smells disarmingly familiar at first blush, almost like cola (if not like a cocktail bitter) thanks to the neroli scent. The chestnut extract renews skin, while potent vitamin E from the wheat germ nourishes the skin barrier. The vitamin C from the orange evens out skin tone and promotes radiance and, for good measure, a pinch of fennel and barley is also in there to clear your mind while reducing inflammation. After the initial tart notes, the scent fades away into an earthy vanilla and, in theory, it’s an absolute winner. In action, however, it doesn’t even disappoint as much as it just… fails to impress. The morning after, my skin does feel hydrated and supple, but not bouncy, and I really don’t think it’s a matter of semantics. Every other morning I give myself the Jelly Test—you’d know it as Jell-o, but in my house we’ve always called it Jelly—where I quickly and lightly tap different areas of my face with my finger tips just to see how my skin is doing. If the consistency is soft yet slightly resilient, like a certain gel-type dessert, I’m doing fine; any tightness, pain, cracks or uncomfortable textures and I’m not. With the Night-A-Mins, I find that while the skin is soft and hydrated, yes, it isn’t comfortably plush like Jell-o is. My expectation that the cream would be overly thick was directly challenged and sent packing; instead, in the morning after an evening with the Night-A-Mins, my skin is still thirsty for more, and that’s a big no-no in my books. If I’ve taken the time to apply night cream the evening before, the skin around my eyes and temples shouldn’t feel dry by the morning. That beany, vanilla scent is not to my taste, and while the cream sinks in quickly, it seems to leave no trace that it was there the morning after, even when a double coat is applied. This makes me feel like the product attempts too much without noticeably delivering in a key way on any one count. I won’t pretend my eyes are strong enough to notice minuscule changes in my skin’s radiance level, but even texturally, I do feel like the High Potency Night-A-Mins are not potent enough to match up to collagen- or hyaluronic acid-based creams in terms of lasting hydration or plumping out texture from within. It’s a funny claim for me to make because the cream does indeed contain hyaluronic acid in the form of sodium hyaluronate, but that’s exactly the point I’m trying to make: I shouldn’t have to wish for more hydrating ingredients or “oomph” in any cream that is supposed to watch over me for eight whole hours. In closing, Origins mentions that the cream is best suited to combination and dry skin, but I’d like to strongly suggest that drier skin types find themselves something sturdier for the long haul, especially if you’re not intending to layer a serum under the cream. 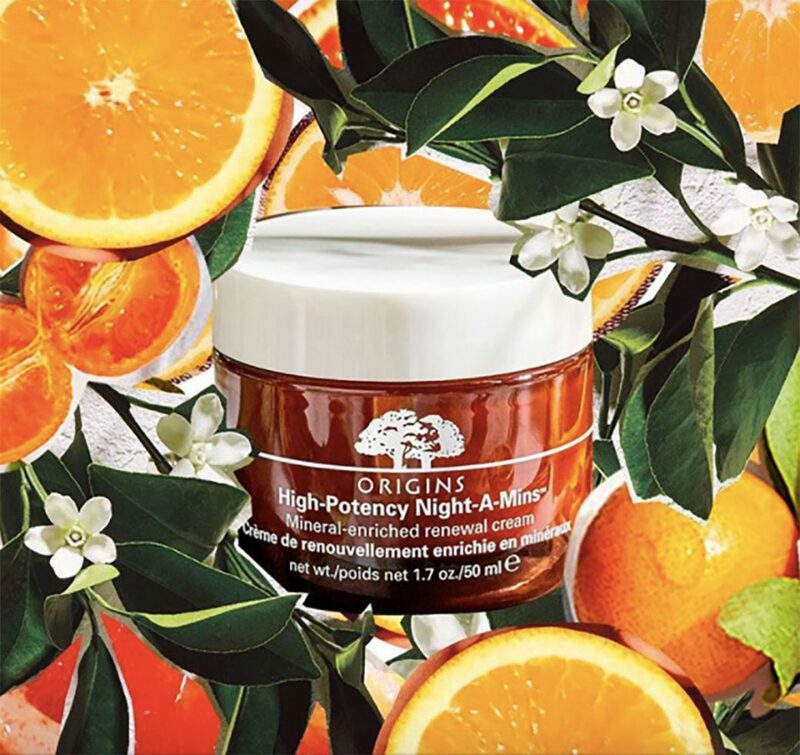 This cream might be a good option for oilier skin types in the summer, or for someone who’s looking into a starter routine that covers a bunch of different bases, but for the most part? I think I’m calling it a night with this one.